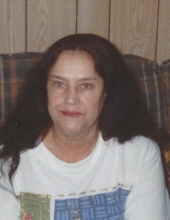 Jacquelyn C. Calvert, age 78, and the wife to Donald Calvert, passed away at her home, Friday, January 4, 2019. She was born in Scott County, Kentucky on November 10, 1940 to the late Richard Moreland and Murial Cook Moreland Eaves Jacquelyn attended Kingdom Hall of Jehovah's Witnesses. In addition to her husband she is survived by her son, Keith Hill of Colorado, daughter Kristi Calvert of Georgetown and 5 grandchildren. She is also survived by her step father Bob Eaves of Georgetown. She is preceded in death by a daughter, Deborah Hill. To send flowers or a remembrance gift to the family of Jacquelyn C. Calvert, please visit our Tribute Store. "Email Address" would like to share the life celebration of Jacquelyn C. Calvert. Click on the "link" to go to share a favorite memory or leave a condolence message for the family.